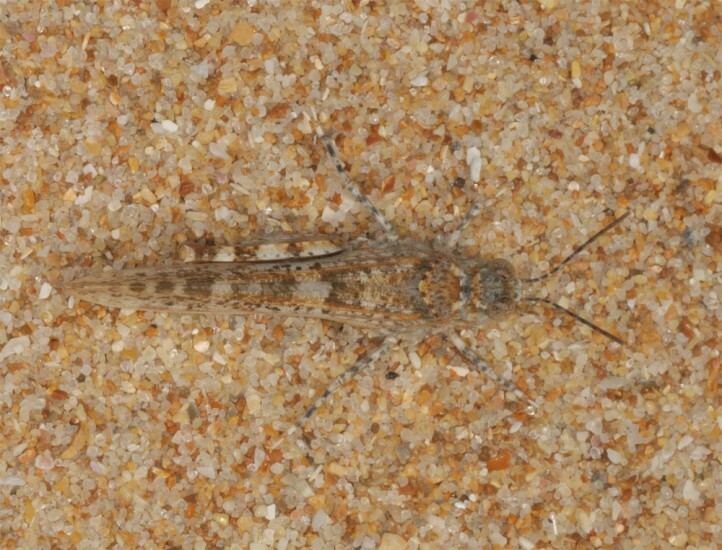 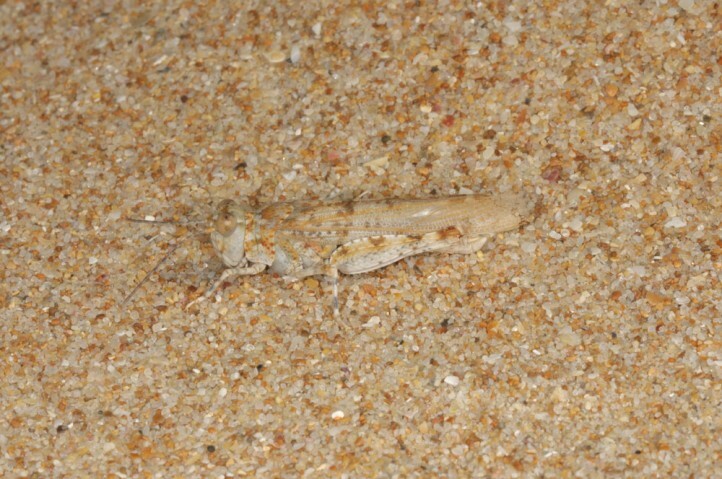 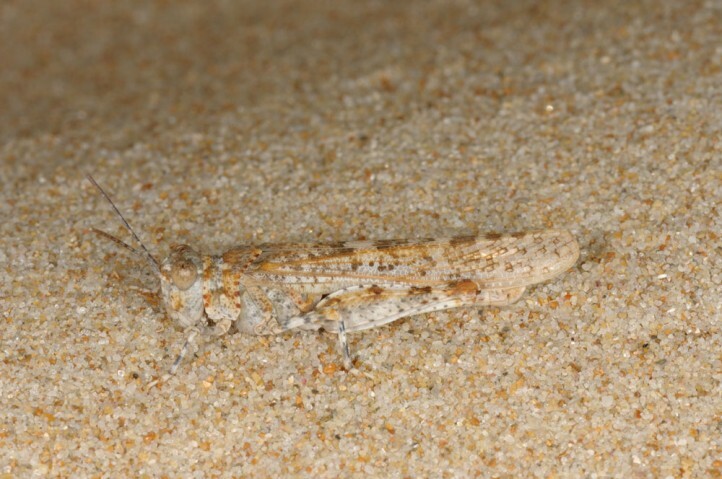 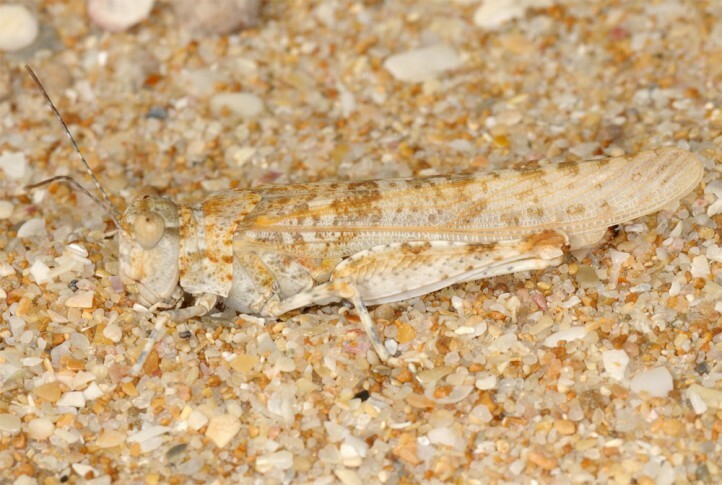 Sphingonotus imitans inhabits coastal dunes (early stages with only scarce vegetation). 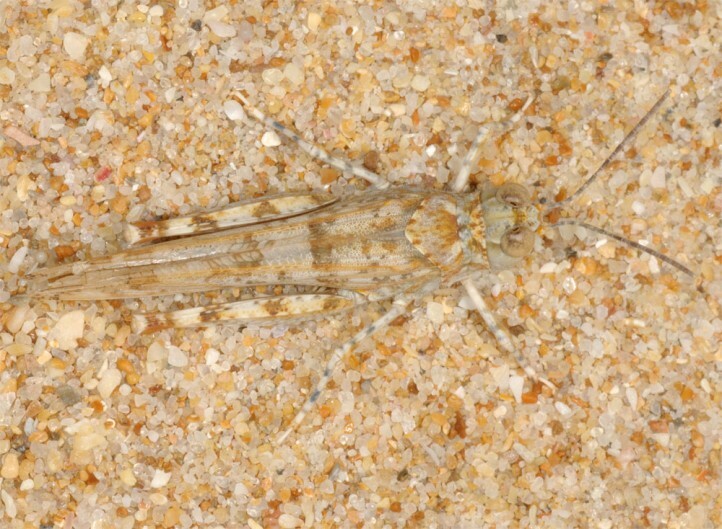 The adults occur between June and October, perhaps even later. 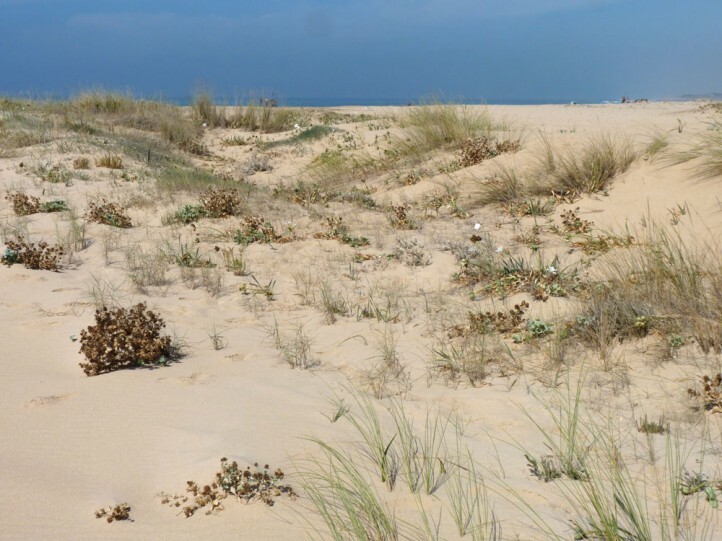 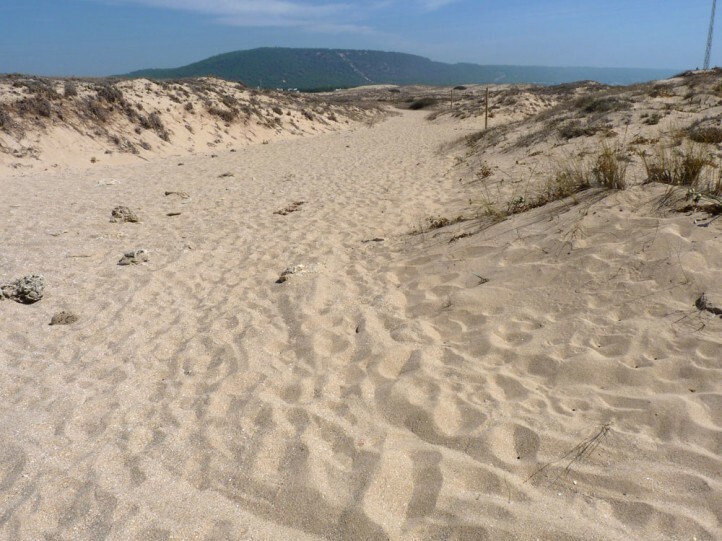 I found them in troops at the Cabo de Trafalgar while similar dunes seemd to be devoid of Sphingonotus imitans. 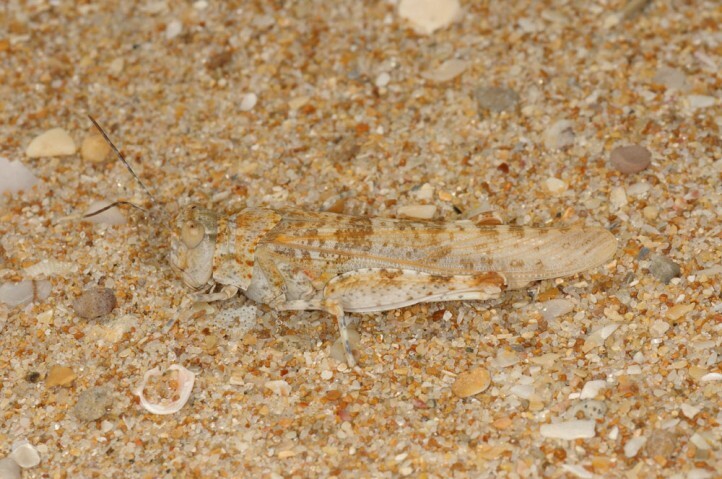 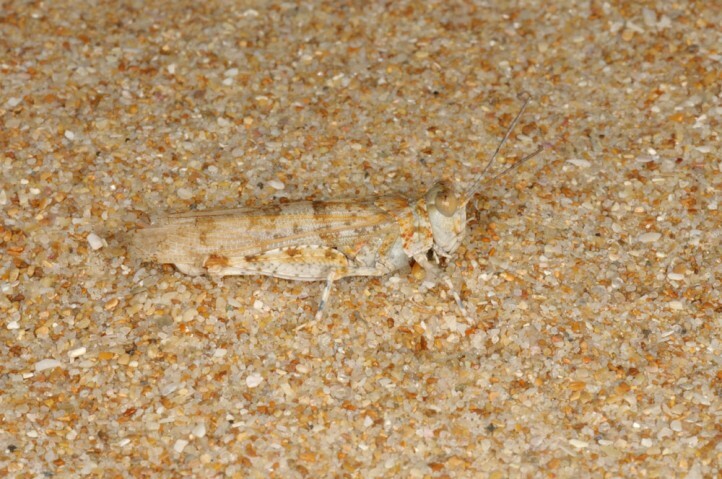 Sphingonotus imitans is endangered by the extreme tourism and overbuidling of coastal zones. 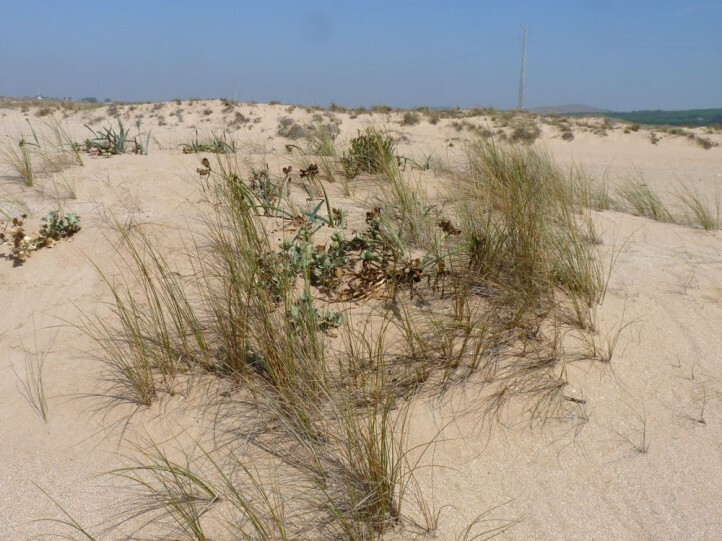 It will probably survive only in nature reserves. 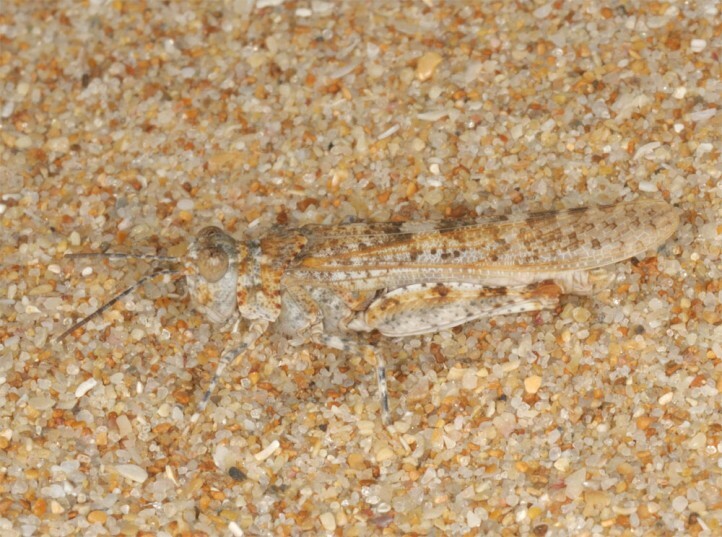 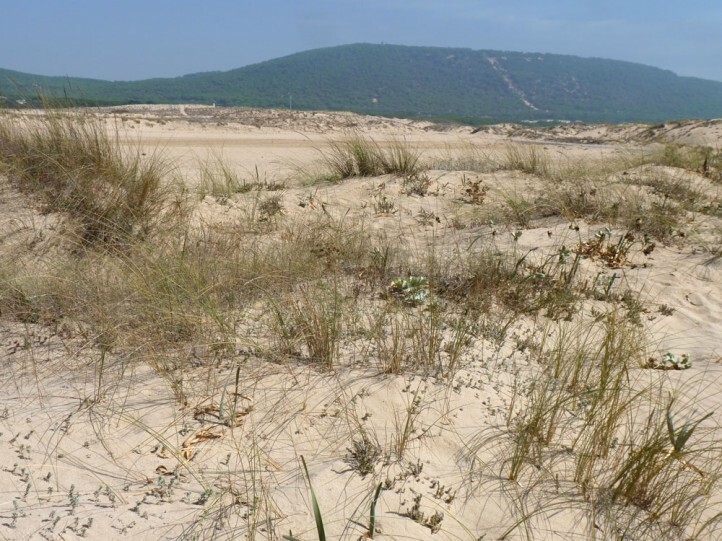 Sphingonotus imitans is endemic to the Atlantic coast of Portugal (especially Algarve) and SW-Spain (Huelva to Cadiz).